David Schilli concentrates his practice on commercial out-of-court restructurings and Chapter 11 proceedings. Clients call on David because he provides efficient, cost-effective representation and relies on his broad litigation and transactional experience to develop and implement practical business solutions. His 25 years of experience across a wide spectrum of industries and sectors allow him to thoughtfully help clients quickly adapt to crisis management challenges and craft creative solutions. During the first half of his career, David had a very diverse litigation-focused practice and represented nearly every constituency group in bankruptcy and creditors' rights matters. More recently, his practice has focused on representing financial institutions and other lenders in originating, working out and restructuring loans. 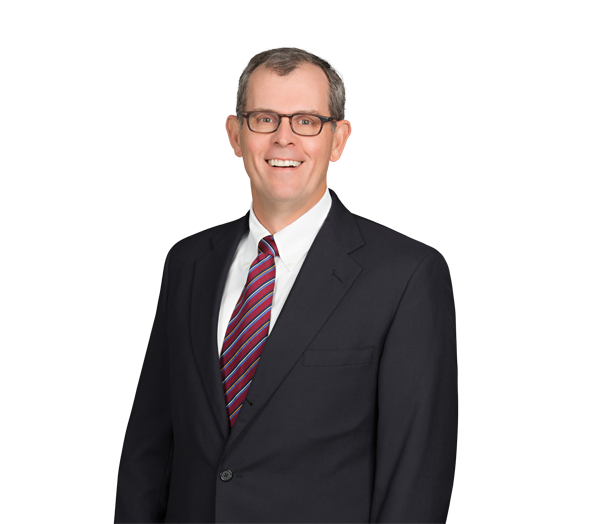 In addition to his practice, David has regularly lectured on various bankruptcy topics for the North Carolina and Mecklenburg County bar associations and turnaround and corporate renewal organizations. He has served in leadership positions in professional turnaround organizations, including as chair of the North Carolina Bar Association's Bankruptcy Section and president of the Carolinas Chapter of the Turnaround Management Association. Represents a large regional bank in pursuing collection remedies on $12 million senior credit facility secured by substantially all assets of a NASCAR Cup Series race team, including pursuing appointment of receiver and, following a Chapter 11 filing, obtaining appointment of a Chapter 11 trustee to pursue the ultimate sale of the race team. Represents a national bank in an $11 million senior secured loan workout secured by a mixed-use (multifamily and office) project. Represented a national bank in the restructuring of a $28 million senior credit facility to a borrower in the textile industry in a debt restructuring of loan terms, a revolver and letter of credit obligations involving a series of multimillion-dollar subordinated debt offerings and equity infusions, leading to the sale of the senior credit facility to subordinated debt holders. Represented a wholesale nursery supplier in the Chapter 11 proceedings of a grower and defeated the grower's efforts to re-characterize its contracts with the supplier as disguised financing arrangements, which if successful would have resulted in the supplier losing its interest in nearly $5 million of nursery product. Represented a national bank in a $32 million senior credit facility to a construction company in a complex debt restructuring of a revolver, letter of credit obligations and swap obligations involving a series of multimillion-dollar subordinated debt offerings and equity infusions, leading to sale of senior credit facility to subordinated debt holders. Represented lender in the Article 9 foreclosure of failed borrower in the health care industry. Represented a national bank in a $13 million senior credit facility to a hybrid bus manufacturer in a complex debt restructuring of a term loan, a revolver and letter of credit obligations involving a series of multimillion-dollar subordinated debt offerings and equity infusions, leading to the sale of the senior credit facility to subordinated debt holders. Represented a national bank in collecting $30 million of senior loans secured by real estate owned by a single-purpose borrower and leased to the General Services Administration. Represented a national bank in connection with a nonprofit school's redemption of bonds issued by North Carolina's Capital Facilities Finance Agency and supported by the bank's letter of credit and restructuring of $7.5 million of senior secured letter of credit reimbursement obligations. Represented a national bank in liquidating a Chapter 11 case of a fully integrated real estate and telecommunications company owing letter of credit reimbursement obligations totaling $1 million secured by cash collateral and corporate credit cards secured by cash collateral and using the bank's treasury management services. Represents an international supplier of infrastructure solutions for communication networks in all aspects of U.S. and cross-board bankruptcy cases of suppliers and customers, involving reclamation, post-petition supply on open account, preservation of administrative claims, impact of bankruptcy filing on existing supply agreements, proof of claim filings, preference defense and asset sale issues. Represented a packaging supplier in the automotive industry in the sale of substantially all operating assets and wind-down of operations. Represented a significant debt and equity holder in a residential real estate community, with leisure amenities to include golf, fishing, shooting and equestrian activities, in restructuring and capital raises to respond to cash-flow shortages, general economic conditions and other operational difficulties. Represented an individual in the buyout of a financially troubled business partner in various entities that own a minor league baseball team, a baseball stadium under construction and a mixed-use real estate development surrounding the stadium, and in the restructuring of the real estate acquisition loan and other obligations. Represents banks, insurance companies, private equity firms and other lenders in out-of-court restructurings and workouts involving real estate acquisition and development loans, manufacturing companies, textile companies, nonprofits, transportation leasing companies, industrial finishing companies, and retail and wholesale distribution companies. Help, a Customer Filed for Bankruptcy! Trade Vendors: Are Recent Bankruptcy Code Revisions an Elixir or a Placebo? North Carolina Bar Foundation, North Carolina Bankruptcy Manual, Managing Editor, 5th Edition (2003); Contributing Author, 4th Edition (1993), "Claims and Protecting the Creditor’s Interests"; Contributing Author, 8th Edition (2017), 7th Edition (2012) and 6th Edition (2007), "Meeting of Creditors"